The Great Recession and resulting housing crisis is still fresh in the minds of many young adults. If you are like many Millennials, especially those with young families, you may be shy about entering the housing market. That is understandable, but having a growing family may be the push you need. 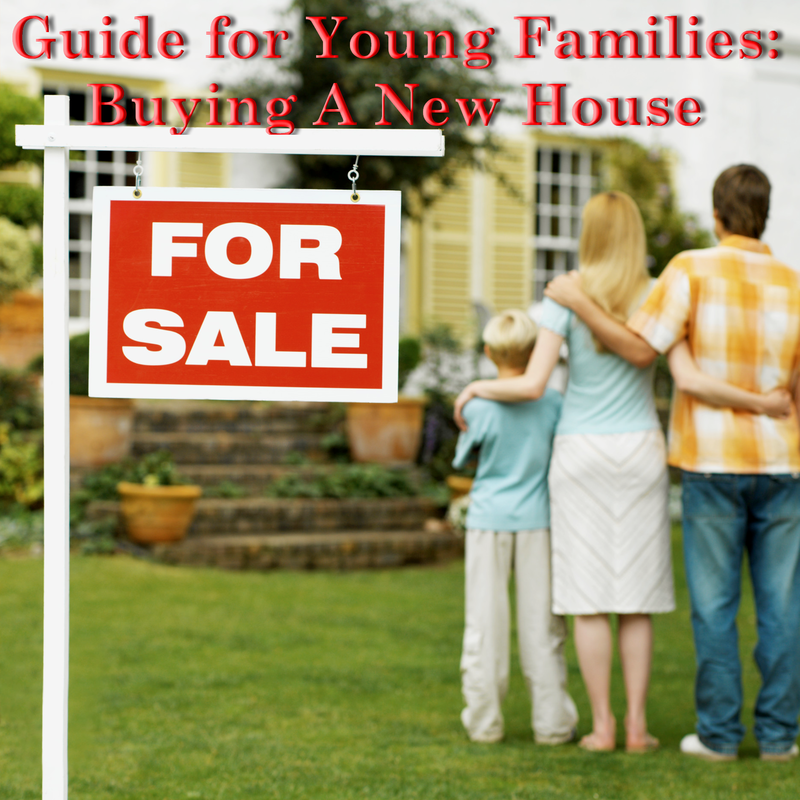 NSH Mortgage in Florida Guide for Young Families: Buying A New House. Where we will review the challenges that first time home buyer will be presented with prior to buying their first home. Before hitting the open house circuit, a young family should evaluate its financial situation to determine if it makes sense to purchase. About 35 percent of Americans pay cash for most of their home purchases, according to CoreLogic. However, most of those buyers are established in their careers and a little older. They typically have sold a previous house, and can put some of their profit towards their down payment. You, on the other hand, are probably just getting started and do not have a pile of cash to make your first housing buy, so it might be a good idea to look into getting an affordable mortgage. With a few exceptions, mortgage lenders do not loan to you 100 percent of the value of the house. You need a down payment, and some contribution of your own towards the purchase price, to qualify for a loan. If you have the standard 20 percent, $20,000 for every $100,000 of the property price, decent enough credit and reliable income, you will probably have a very easy time qualifying for a mortgage. You should also try to avoid mortgage insurance, which can add hundreds to your mortgage payment each month, depending on your credit score, down payment size and mortgage program. Unfortunately, most young families do not have that luxury. They may be paying off student loans. There could be child care expenses, and not everyone makes Silicon Valley wages right out of school. Money might be tight, but there are several mortgage programs that are designed to help young families with their down payments. Many have income-eligibility requirements, and the larger your household, the higher your earnings can be. Years of data display that your credit score is an precise indicator of how likely you will successfully repay your mortgage. The credit scores of young families does not just alter their ability to get approved for a mortgage they influence the cost of that mortgage. The most important factor in your credit score is your payment history pay on time over years and your score will represent your responsible debt management. The other major component is the amount of credit you use compared to the amount you have access to that is called an utilization ratio, and the lower it is, the better your score will be affected. Mortgage lenders look carefully at your income when they consider your application. Definitely, they prefer applicants’ debt-to-income (DTI) ratios to be 43 percent or lower. The DTI equals your proposed mortgage payment (principal, interest, property taxes and homeowners’ insurance) plus the minimum payments for your separate accounts like your credit cards, your student loans and your auto financing, divided by your gross (before tax) income. If your new house payments equal out to be $1,500, and your other payments come out to $500, and your income is most definitely $5,000 a month, your DTI would be 40 percent, that is $2,000 divided by $5,000. You can get approved with higher DTIs, but you would normally have to compensate for that shortcoming with a higher down payment, excellent credit, or other factor. Many mortgage programs for first-time home buyers, including young families, require home buyer education for a good reason. That is because most new buyers do not know how many costs there are besides their mortgage. Expect at least spending one percent of your home’s value each year on maintenance and repairs. Your mortgage payment will probably include principal and interest, property taxes and homeowners’ insurance. Furthermore, you may also have to pay dues to a homeowners’ association, the cost of a flood insurance policy, or for other items like a home security system. Doing a thorough review of your finances and pulling your credit reports should give you an honest assessment of whether or not you are ready to take on a mortgage. If you are ready, get pre-approved by a lender before you go house hunting. Pre-approval gives you more credibility with sellers when you make an offer. Pre-approvals usually last 60-90 days, so do not waste this time trying to figure out what type of house you want or the communities you want to live in. NSH Mortgage lender in Florida can help you get a mortgage approval with a part-time job by benefiting from one of our loan programs. Since Florida mortgage lenders are easing mortgage qualification requirements by the day. Home buyers are discovering they can qualify for aggressive new programs like the HomeReady and FHA loans thanks to flexible guidelines and low mortgage rates. Determine the types of communities and homes for all your family needs. If you have extravagant dreams on a small budget, step back and realize that smaller, cheaper places are called starter homes for a good and reasonable reason. You can always move up later. For now, keep your emotions in check and avoid buying more home than you can afford. Buying in an area with good schools can be a good and smart investment, both in your children’s future and in your own bank account when it is time to sell. Factors to consider are safety, other families to socialize with, and things like parks or playgrounds should probably take precedence over luxurious kitchens and impressive man-caves, at least for a few years. Even when both adults are currently employed, young families should consider homes they can afford on only one salary. It’s safer to have a financial cushion when you have kids. One of the adults could also lose a job, or a medical emergency could drain the family bank account. And you are probably also trying to save for retirement or for college. Or having to pay off student loans and other expenses that you have been trying to stabilize. A small starter home in an older neighborhood may make more sense for a first-time home buyer on a precise budget. In many cities, new home communities come with higher price tags and a longer commute. That increases your expenses like your fuel costs and possibly your car insurance premiums. Find the time to test out the commute for any neighborhood you are seriously considering before putting in an offer on a home. If you or your spouse is skillful around the house, purchasing a fixer-upper could be a smart move. But only if you know you can handle the home repairs and renovations. It might not be practical or convenient for you to undertake a lot of renovation projects with small children in the mix. Finally, consider multifamily property. Purchasing a property with two to four units could provide you with an opportunity to live rent-free in one of these units. This option makes sense if you do not mind the prospect of being a landlord and being on call to deal with tenants. Is Paying Off Your Mortgage Early Always the Best Financial Decision?